"... In the early days of the Syrian rebellion, U.S. intelligence agencies made a prediction: Syrian President Bashar al-Assad's days were numbered, an assessment repeated publicly by President Barack Obama and top U.S. intelligence officials.Mr. Obama said so as recently as March 22, at a press conference in Amman with Jordan's King Abdullah: "I'm confident that Assad will go. It's not a question of if, it's when." Behind the scenes, though, U.S. intelligence services had already begun to pick up indications that this long-held assumption was wrong. That winter and early spring, U.S. and Israeli spy agencies received intelligence that Iran and the Assad regime were pressing the reluctant leader of the Hezbollah militia in Lebanon to commit to sending his fighters into Syria en masse, current and former U.S. officials said. The resulting Hezbollah surge to bolster Mr. Assad represented a turning point in the Syria conflict, giving the Syrian leader enough strength to survive, though not enough to prevail. U.S. intelligence agencies and administration speechwriters quickly dialed back pronouncements about Mr. Assad's impending departure from public remarks. Now, at the end of 2013, Syria stands as a tale of mismatched commitments, and an example of America's inability to steer events from a distance. In many ways, Syria as it was known before simply doesn't exist any longer, U.S. officials say. Its place has been taken by a shattered state riven into sectarian enclaves, radicalized by war and positioned to send worrisome ripples out across the Middle East for years to come, say current and former officials. In fact, U.S. officials think the chances of steering the outcome have shrunk dramatically. The intelligence assessments that once showed Mr. Assad on the verge of defeat now say he could remain in power for the foreseeable future in key parts of the country bordering Lebanon and the Mediterranean coast. The U.S. doesn't think he will be able to retake the whole country again, U.S. intelligence agencies believe. Areas outside his control are fracturing into warring enclaves along ethnic and sectarian lines, abutting a new al Qaeda-affiliated haven that sweeps from Syria into Iraq. The first hints that those long-held assumptions were wrong came in the second half of 2012, when the CIA realized that the Syrian military was starting to change its tactics with help from Iranian advisers, who had cracked the opposition's battlefield communications. Next came the Hezbollah push. U.S. intelligence officials misjudged the extent to which Hezbollah was prepared to double down in support of Mr. Assad. 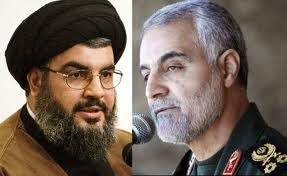 U.S. intelligence initially showed that Hezbollah's leader, Hassan Nasrallah, resisted repeated appeals from Iranian leaders, including the commander of Iran's elite Revolutionary Guards Quds Force, Qasem Soleimani, for sending Hezbollah fighters in large numbers into Syria to reinforce the Assad regime, current and former U.S. officials say. The U.S.'s caution didn't sit well with Prince Bandar bin Sultan, the Saudi prince and intelligence official who had become the leader of an international effort to aid the rebels. If Iran and Hezbollah prevailed in shoring up Mr. Assad, the Saudis warned the White House, they would be emboldened to think "they can walk on water," and take actions elsewhere that could jeopardize Saudi security, one diplomat close to the Saudis said. The administration's decision to avoid military strikes and subsequent negotiations over ending Syria's chemical weapons program gave Mr. Assad considerable staying power, administration officials say. Mr. Kerry privately acknowledged to allies that the administration's decision to not retaliate militarily for the Aug. 21 chemical weapons attack hurt the morale of the opposition, which had anticipated a strike. He called this a "non-strike effect," according to a senior administration official. Saudi officials fumed at the U.S. for failing to launch strikes against Mr. Assad over the chemical weapons attack, and Prince Bandar threatened to scale back cooperation with the CIA. A former senior Obama administration official said Saudi leaders misread U.S. sentiment. The White House, the former official said, had no obligation to come to the rescue "when they picked a fight they couldn't win." After Mr. Obama's decision not to strike in response to the chemical weapons attack, the U.S. learned that Russian, Iranian, and Chinese officials were discussing how weak the U.S. now looked on the international stage, said one former official briefed on the intelligence. Now, some senior Obama administration and Pentagon officials say the window of opportunity for strengthening the moderate opposition may have closed. Once Syria's chemical weapons have been fully removed, "the pressure on Assad to leave will be diminished," said one senior administration official. A longtime American diplomat in the region said that, for now, it looks like Messrs. Assad, Nasrallah and Soleimani have "won"."